One of the challenges that mothers face everyday is making smart choices about living in style at home, at work and above all, living life the best way possible. Like for instance, what to prepare for the kids' baon or what brand of spread to choose for snacks. These are some of the thoughts that plague the modern moms' minds as they go through their day, juggling work matters and the concerns of home life. Moms are always busy searching on the Internet or even asking their kumares for feedback and recommendations. Double The Hazelnut, Less The Price! Affordably priced at PhpSRP for a 350g jar, super sarap and super sulit to, momshies! 😂 It's the practical choice of smart moms with discriminating taste, and it’s much cheaper and more pocket-friendly than other Hazelnut spreads. Trust me, even with its relatively competitive price, you can still have more satisfaction and indulgence with Goya Double Hazelnut Spreads. Goya Double Hazelnut Spread matches up to other popular Hazelnut spreads in terms of taste and texture. I'm one of those people who rave about this super yummy spread. It looked and tasted delicious and there's a distinctive hazelnut flavor that I really love! Even our family has a long-lasting relationship with Goya. 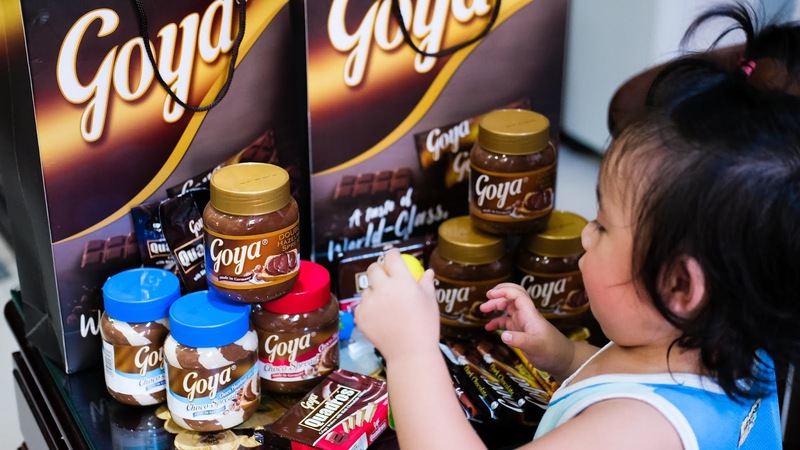 In fact, we love all the best quality delicious favorites like Goya Chocolates! Goya Double Hazelnut Spread is Goya's premium brand of hazelnut spread made in Germany. It is double (actually, more than) the hazelnut content at 13% which gives it that rich hazelnut goodness that you can enjoy. Preparing healthy baon recipes is super easy! Any mom who’s ever had days getting busier, and to do lists getting longer, can tell you that preparing baon for the kids is not easy. 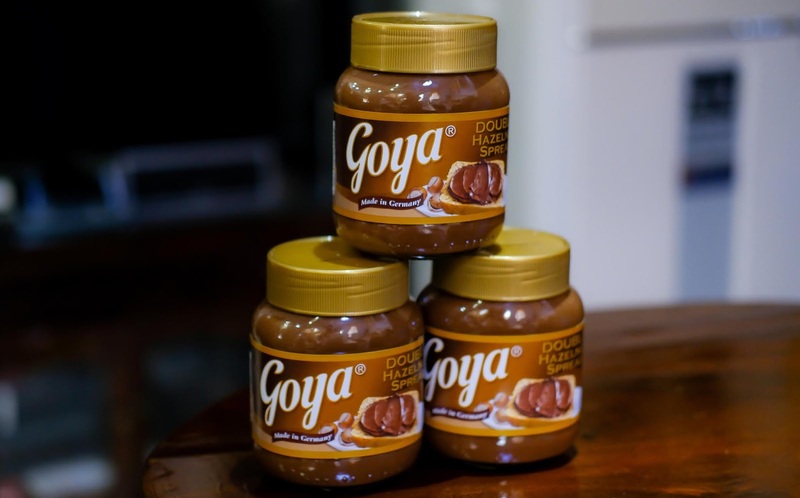 With Goya Double Hazelnut Spread, you can make healthy baon recipes that are super easy to prepare. The possibility is endless —unbelievable, I know— but if you want to discover new baon recipes with Goya spread, now's the time. You have so much freedom here and you can enjoy it in so many ways, such as pairing it with a toasty tasty bread, crushed cookies, fresh strawberries or frozen peaches, (I tried both and they worked equally great), pancakes, cake and more. You can top it on your banana, spread it on your waffle, and create new tasty recipes with it. It's also a healthier alternative compared to other snacks like chips and French fries. Start them out young by teaching them that even snacks can be a smart choice when it is a healthy alternative. Also, teaching your kids to adapt healthy eating habits will surely help them to keep a healthy lifestyle when they are older. 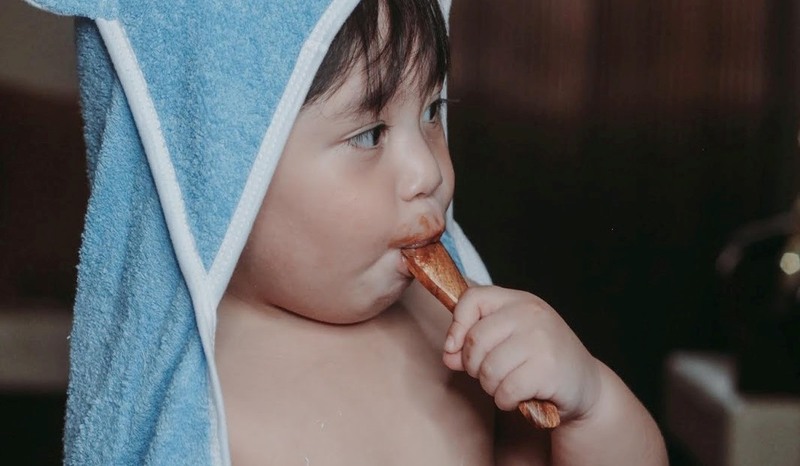 Today’s modern moms, or what other people would call as millennial moms, are making the smart choice by choosing a better and cheaper brand that the whole family will love. Goya Double Hazelnut Spread is one of the great choices smart moms make! Don't miss the golden opportunity to spend "food trips" with your kids and give them what they have always wanted. Nobody wants a hangry (hungry + angry) kid whose having tantrums because his stomach is grumbling! So make the smart choice, momshies, and focus on smart snacking to be the best mom you can be! Choose nothing else but the best for your family! 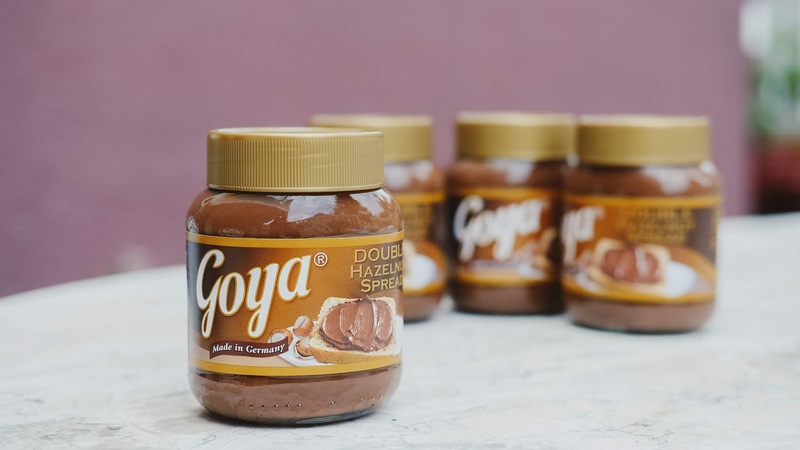 Go double, go smart with Goya Double Hazelnut Spread! It is available in all leading supermarkets, so be sure to pick up a few. For more updates, visit and like the https://www.facebook.com/GoyaChocoholics/ on Facebook, or look for #GoDoubleGoSmart #GoyaSpread and #GoyaxRockstarmomma on social media. Have you bought this spread for your kids too? Did you and your kids love it? Let me know in the comments below.